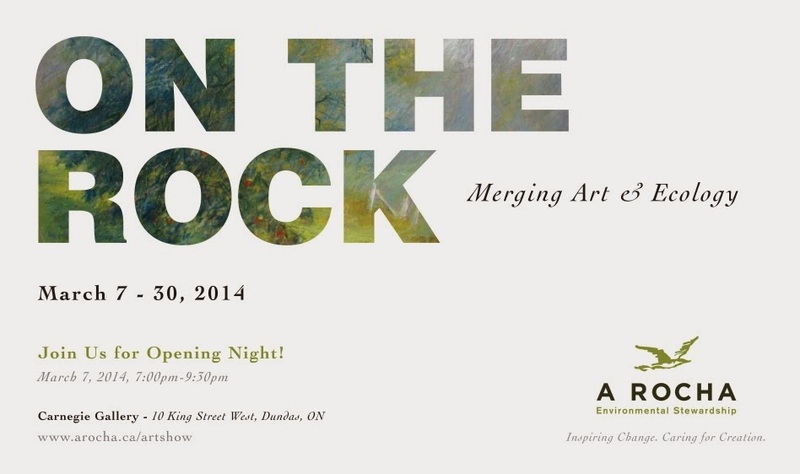 You are invited to the opening of On The Rock: Merging Art & Ecology, Friday March 7, 7-9:30pm at the Carnegie Gallery in Dundas, ON. Free entry, wine and cheese! 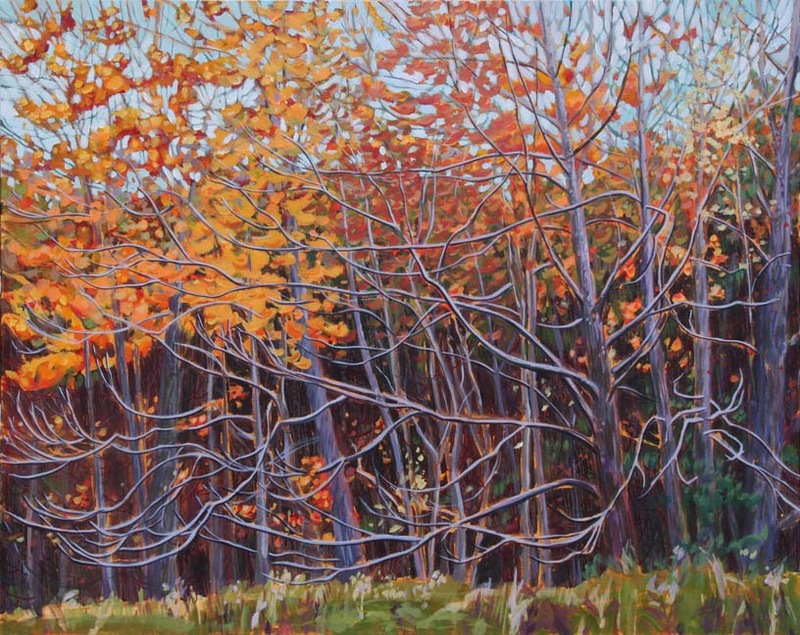 I will be showing with Barry Coombs, Kristen Brittain, Floyd Elzinga, Guennadi Kalinine, Ralph Heather, Janusz Wrobel, Lorraine Roy, Aleda O'Connor and Diana Schlotens. This show is in partnership with A Rocha, Environmental Stewardship. 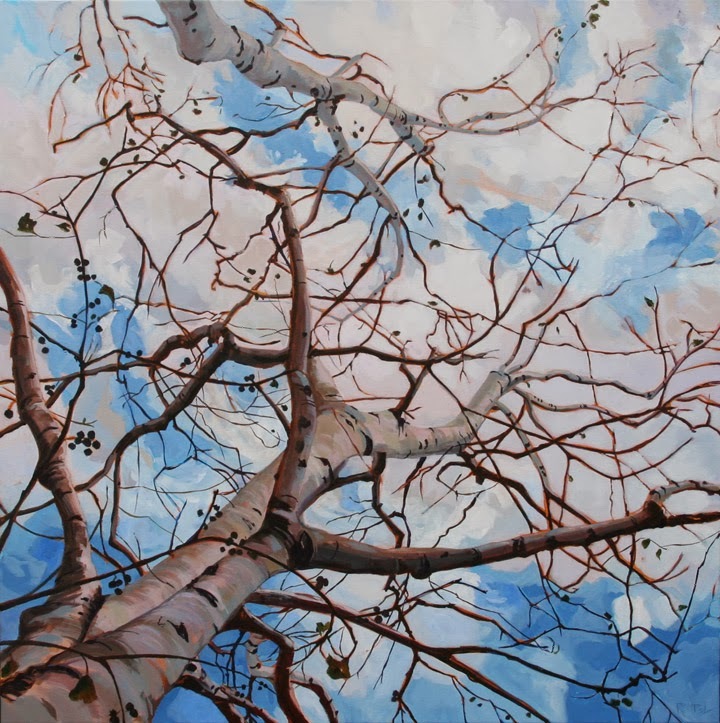 I will have three landscape paintings at the show: Climb, Sanctuary, and Reaching. 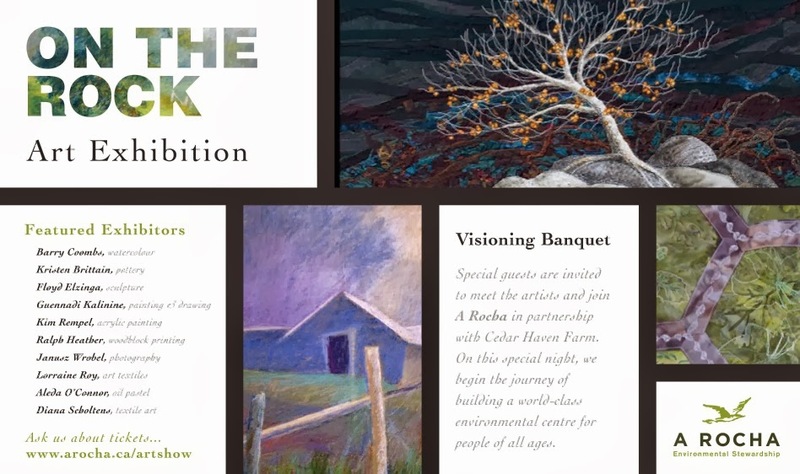 On the Rock: Merging Art and Ecology is an exhibition pulling together 10 artists and their reflections on a particular property, Cedar Haven Farm. Each artist was asked to take inspiration for their art works from this property and share what they discovered. 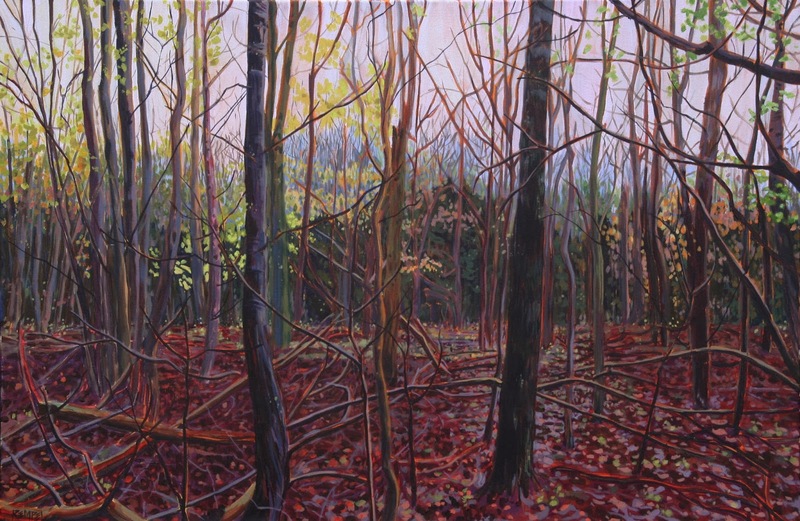 Each artist has brought to our attention various aspects of the property in their own style and medium. It has been a great pleasure to take part in this exhibition, both as part of A Rocha and as an artist, sharing in the experience of each other’s merging perspectives. These are beautiful pieces Kim. Love the concept of the show. Your work is so beautiful, and I wish I could be there, but I'm working. You will totally rock it. Your work is beautiful. I can't make the opening Kim but I was in the Carnegie yesterday and saw your paintings hanging. They weren't labeled yet but I recognized your work. Unfortunately they hung "Climb" a little low but is is still magnificent. It really needs to be seen in real life to be fully appreciated. Bravo on both the painting and the show.